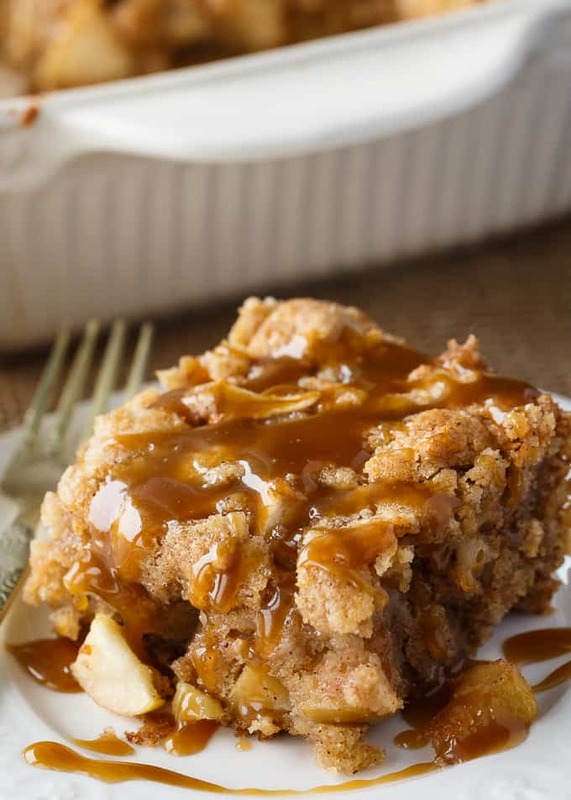 This Apple Cake with Butterscotch Sauce cannot be anymore perfect. The combination screams fall, doesn’t it? Apple desserts are always a hit this time of year. 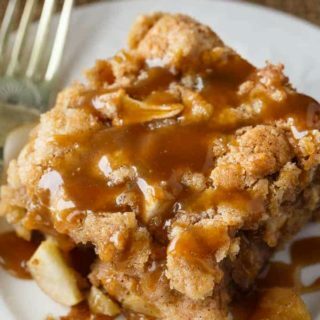 Add in a little butterscotch sauce and you have a dessert made in heaven. This sweet treat is so incredibly moist. It practically melts in your mouth. I love the chunks of fresh apples sprinkled throughout. I used Gala apples in the recipe, but feel free to use whatever apples are plentiful in your home. My daughter loves Gala apples so we always keep a bag of them in the fridge for a quick, healthy snack. 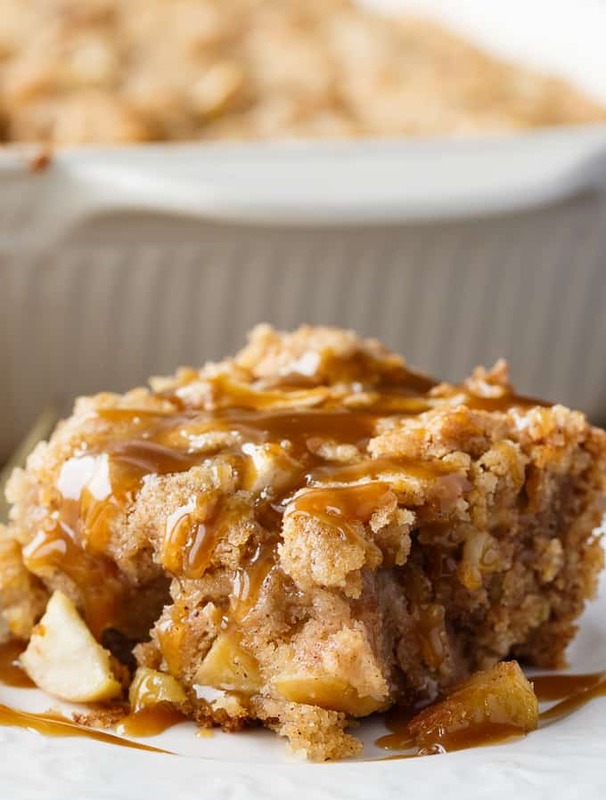 You don’t even need a special occasion to make Apple Cake with Butterscotch Sauce. Do it just because. I enjoy surprising my family with sweets after a meal. This recipe is quick to prepare and has no fancy ingredients. I bet you have everything you need to make it right now! The first thing you’ll do is make the Apple Cake part of the recipe. 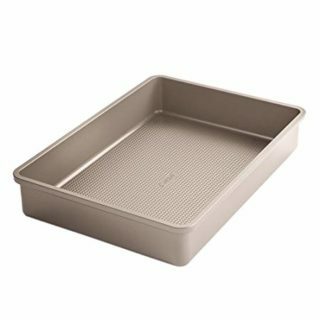 Grease a 9×13 baking pan and set it aside. In a large bowl, stir together sugar, oil, eggs, vanilla, flour, salt, baking soda, cinnamon and apples. Pour the batter into the baking pan. When the cake is nearly done baking, start making the Butterscotch Sauce. Add heavy cream, brown sugar and butter to a saucepan over medium low heat. Boil for 4 minutes. Pour sauce over the baked cake. I cut the cake into pieces and poured the sauce over the individual pieces. I thought it would be less messy that way. 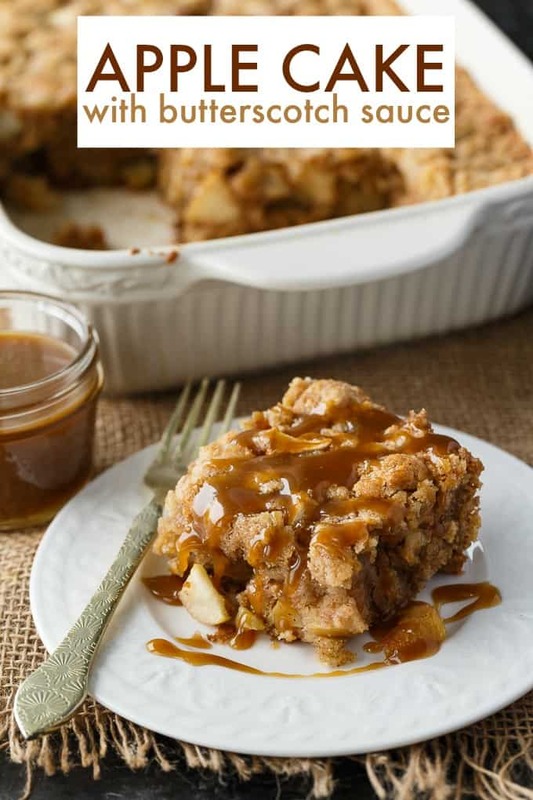 For more apple desserts, check out my Apple Crisp Bars, Deep Dish Apple Pie with Crumb Topping and Caramel Apple Dump Cake. You might also like this Mayonnaise Cake. Moist apple cake filled with chunks of fresh apples. 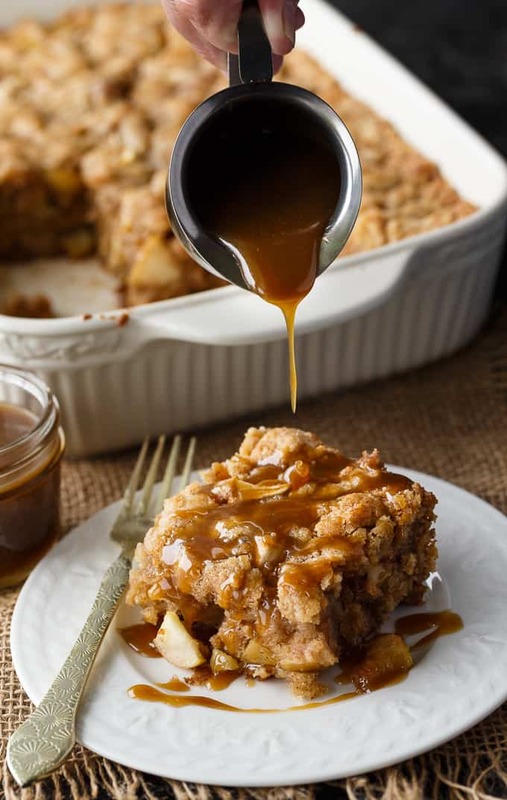 The sweet, silky butterscotch sauce is a delicious finishing touch. Preheat oven to 350F. Grease a 9x13 baking pan and set aside. 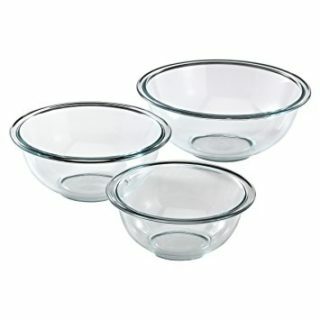 In a large bowl, stir together sugar, oil, eggs, vanilla, flour, salt, baking soda, cinnamon and apples. Pour into baking pan. Add heavy cream, brown sugar and butter to a saucepan over low medium low heat. Boil for 4 minutes. 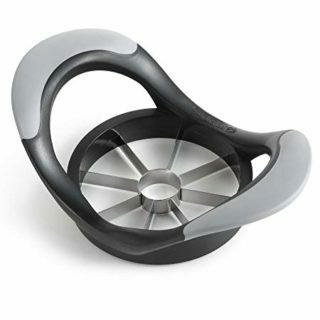 Serve over baked cake. I used Gala apples in this recipe. 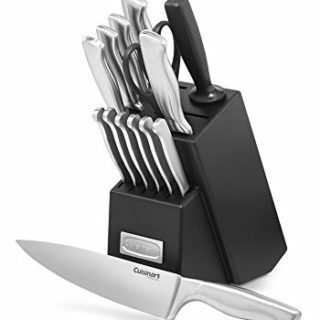 Use whatever you have on hand. Oh YUM!!! I love butterscotch and I think this would be a wickedly good dessert! Thanks so much for posting such an easy appearing recipe. I cannot wait to make it! Move over Pumpkin Spice the Apple is back! LOL Everyone seems to have forgotten that it is apple season and jumped straight to the pumkin! This looks absolutely amazing and I will be making this next week! 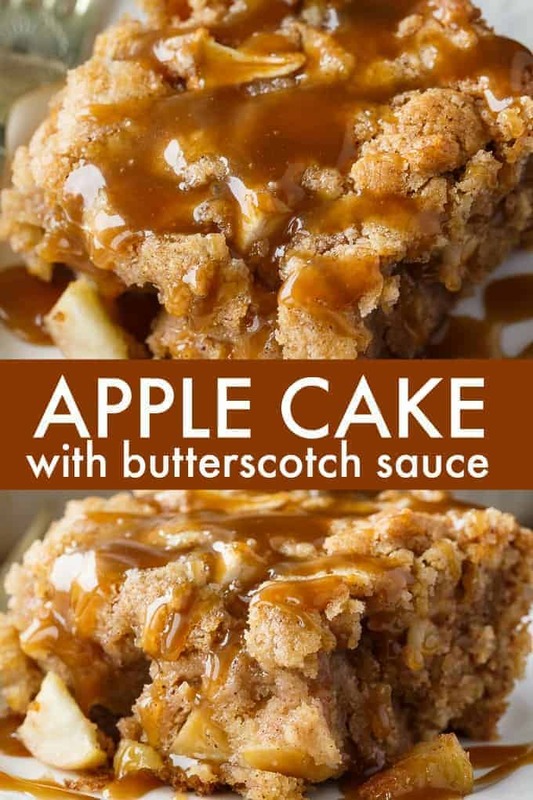 Oh my goodness, I would love a serving of this delicious cake with butterscotch sauce. Thanks so much for sharing your post with us at Full Plate Thursday, we have really enjoyed it. Hope you have a great day and come back soon! Congratulations on the much deserved feature at Wonderful Wednesday. 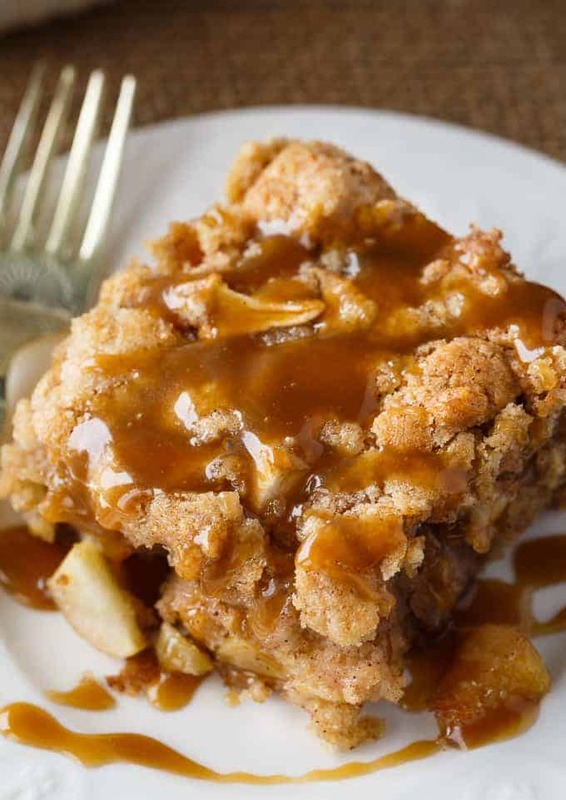 This apple cake looks like it would almost melt in my mouth!